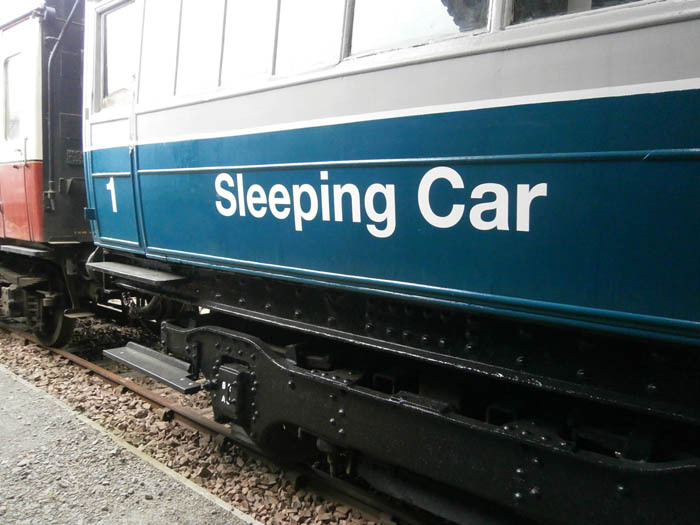 After Al McPhee had painted the south side of the carriage, lettering was applied. This made the carriage look much more "finished" externally. Don and Jim Pairman fitted the rain strip to the south side of the roof using a special jig to try to obtain a smooth curve - rather difficult with such a shallow curve and such a long carriage. In early June 2018 the asbestos contractor had a "kick-off" meeting with the C&W staff for the removal of the asbestos from what would become the public accessible areas within the carriage. At the same time as clearing the sleeper, the Glasgow and South Western box van would also be cleared of asbestos - another diversion from the business of carriage restoration! 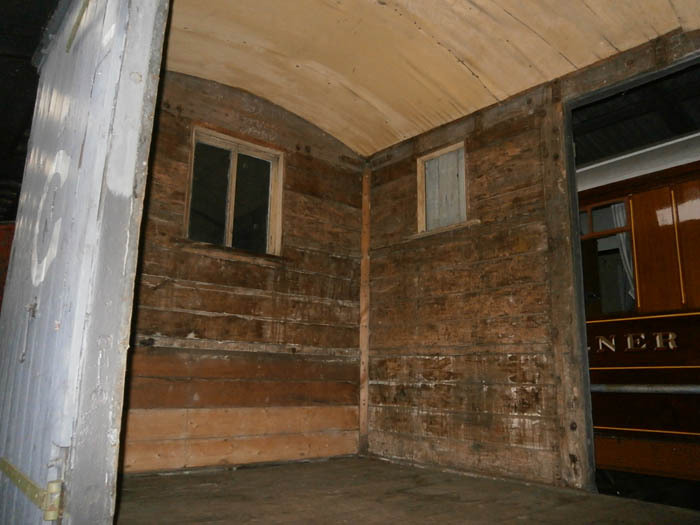 During July and August, after shunting the carriage to the area east of the museum building, the asbestos contractor moved in and stripped the asbestos from the underside and interior. The gangway diaphrams were also removed. 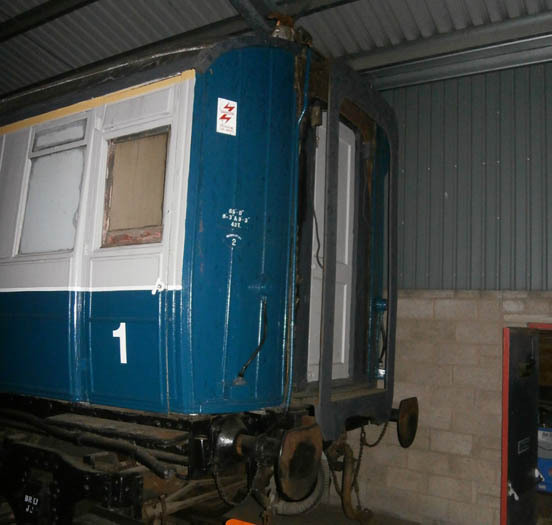 As part of the contract the contractor was also required to remove the internal lining of the G&SWR wagon in the RCB so that restoration work on that could once again be started. 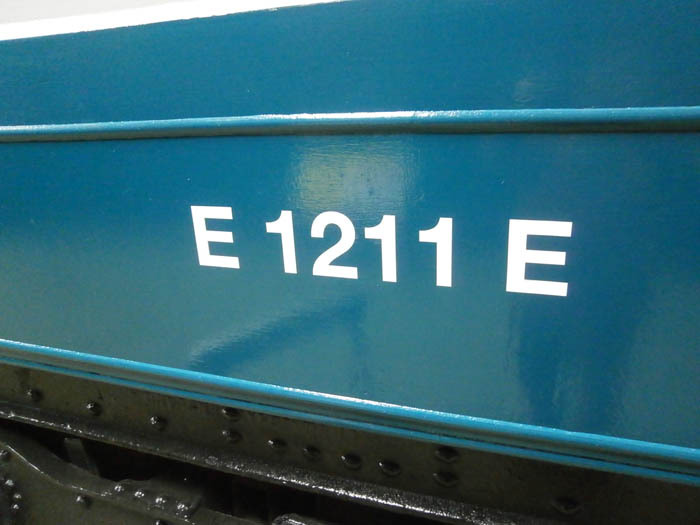 After the sleeper was shunted back to its original position, the destination board retention mouldings were secured in place and painted. In December Don and Jim P succeeded in getting some of the corridor lights to work - the mains wiring installed by the previous custodians was utilised as much as possible to carry 24V DC to the lighting circuits. However, the mains wiring remained cloaked in mystery as access to much of it was prohibited due to cavities sealed by the asbestos removal contractors. Work then began on cabins 5, 6, 11 and the Attendant's. Overhead cabin lights were the first milestone as working in the dark was a bit tricky. Ironmongery from (to be) locked-off cabins was used to fit out cabins 5, 6 and 11 - this included light switches, ventilation controls, fold-down shelves and luggage racks. 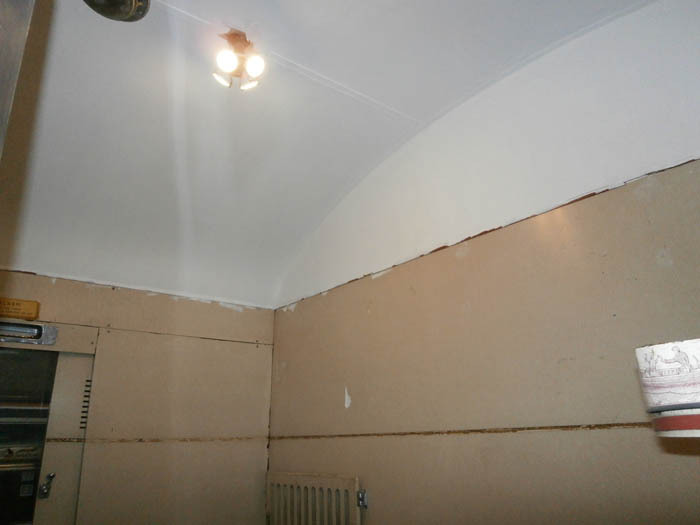 The ceilings of cabins 5 and 6 were painted white as per 1935 decor style. 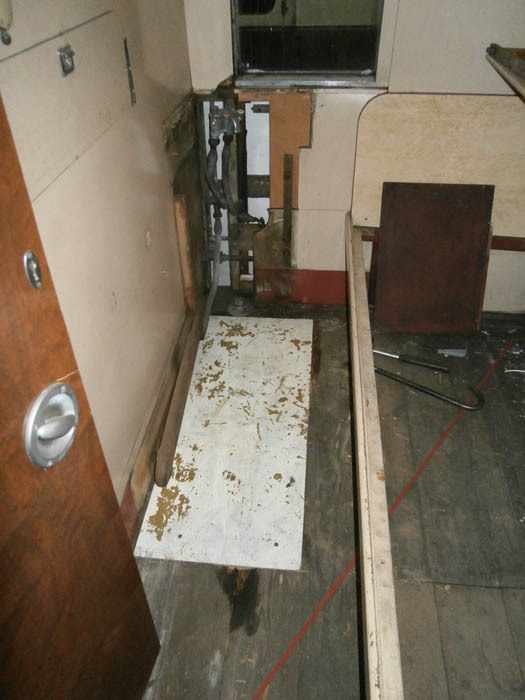 The rotten floor of cabin 11 was repaired. A start was made on transforming the west half of the carriage to 1935 style. Formica sheets were removed from the corridor exterior wall and preparations made to swap round the west gangway door with the (newly refurbished) east door. The missing toilet door was located, cleaned up and varnished ready for hanging.